Where in the World is Richard Laible? Over the past 20+ years as a professional emcee I have become quite astute at packing ONE carry-on bag for a five days’ worth of travel as most of my work takes place away from where I live. (Caveat: being a man, I cannot speak for female travelers, as I have never packed a suitcase for a lady) One reason I do this is that I never have to worry about the airlines losing my luggage (stuff I need for my role as emcee), something I hear happens from time to time. 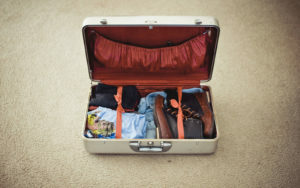 So, even though you may not be an emcee, you may also be a veteran road warrior, I hope you glean at least 1 or 2 new tips from below you can incorporate to make life on the road a little bit easier when it comes to packing light. The bag: I invested in a 22x13x10 Tumi leather roller (I got on it on sale as it was last year’s model…I didn’t care about the new handle style for over $100 more) that has help up like it was made of steel. Plus, Tumi had a lifetime guarantee on ANY breakage. But why so small? 2 reasons, it fits in almost any overhead bin (and when it doesn’t, I gate check it) and the bigger the suitcase, the more I would unnecessarily put in it! Your carry on should be a backpack that attaches to the front of your luggage…. we’ll go into what to pack in there later. Updated 5,4,3,2,1 Rule: The old rule was “5 pairs of socks, four shirts, 3 pants, 2 pairs of shoes & one hat.” Well, I do the “5, 5, 5, 5, 1, 1 Rule,” as in, 5 pairs of socks, 5 boxers, 5 ties, 5 shirts, 1 suit, 1 pair of shoes…and no hat! Throw in a casual shirt, swimsuit and exercise gear if you’ll need them. I wear jeans, a nice sweatshirt and gym shoes on the plane so I don’t need to pack those. Besides clothes: Belt, 1 T-shirt, Toiletries (Toothpaste, Toothbrush, Q-Tips, Razor, Shaving Cream) and THAT’S IT!! Every hotel has shampoo, conditioner, hand cream, etc. But, once fully packed and not crammed in, you can add anything else you’d like. Lay everything out on bed: Then start packing. c) Shirts & pants on hangers get placed INSIDE suit coat with arms folded in front and suit buttoned. These all are hung on the ring that is supplied in most luggage. e) Shoes with top touching and toe-to-heel so the toes snuggle inside the open heel opening (you can put these inside a shower cap to keep them from getting anything else dirty). I roll my dress belt up and put it in a shoe. f) 1-quart bag with toiletries (These should always be placed on top of your suitcase in a clear bag since you never know when T.S.A. might be interested in looking) that I never unpack at home so I never forget to pack anything, except to replace when you run out. g) Anything else that will now comfortably fit – T-Shirts, shorts, swimsuit, etc. Remember: get rid of ‘just in case I need it’ because when you need it, you can buy it. Roll your clothes, especially jeans. This helps to maximize space and minimize wrinkles. I just bought a super light down jacket that folds into itself to form a neck pillow. If, when your bag has been traveling over 5 hours, you find your something wrinkled that you cannot iron (e.g., Suit, Sports Coat, etc.) turn you shower on the hottest it will go and hand your garment(s) in the bathroom with the door closed for at least an hour. I try to do this the night before so they have time to air dry by morning wrinkle-free. Leave your nice watch and rings at home. Why risk it out of town? Take a kitchen garbage bag to use for soiled laundry. Sure, most worn clothes won’t smell, but your socks may, and that’s reason enough. Invest in a leather valet tray that snaps together. This holds your wallet, money, changes, hotel key, etc. in one place so you don’t need to hunt around your room when leaving. Trust me, get one. Guess that’s it. If I’ve forgotten anything please write me back and I can add to this essential list. But for now, safe travels. 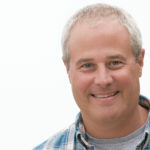 Richard Laible – President of Laible Productions, Inc.
Love it. I don’t have a leather valet but I’m going to buy one on ebay tomorrow. Thanks Richard!